X-ray computer tomography (CT) – what is it? X-ray computed tomography (CT) ─ research technique in which a computer reconstructs a model of the investigated object after it layer by layer scanning using a narrow x-ray beam. The discovery of the method of computer tomography we owe to A. Cormack and G. Hounsfield, who in 1979 Nobel prize winners. How to get the image? In the computer tomograph according to the circumference of the emitter and the sensor of x-ray radiation. From the emitter enters the x-ray radiation in a narrow beam. When passing through the tissue, the beam is attenuated depending on the density and atomic composition of the study area. Sensor, catching the radiation, amplifies it, converts into electric signals and sends the digital code to the computer. Many described the beams pass through of physician interest region of the human body, moving on a circle and by the time the study ends, in the memory of the computer are signals from all sensors. After processing, the computer rekonstruiruet the image, and the doctor studies it. The doctor can zoom a particular area, to highlight interesting parts of the image, to know the exact size of the bodies, the number and structure of pathological formations. Since the advent of the first tomographic apparatus it was not long, however, these devices already have a considerable history of development. Gradually, continues to increase the number of detectors is, accordingly, increases the volume of the studied region, reduced the time of the study. The first installation had only one emitter, aimed at a detector. On each layer required one turn (about 4 min) radiator. The study is long, the resolution is poor. In the second generation devices in front of one emitter installed several detectors, a single slice of about 20 C.
With the further development of CT scanners appeared spiral computed tomography. Emitter and sensors are already synchronously rotate, which further reduced the time of the study. There are more detectors and survey process begins to move the table. The movement of the x-ray emitter in a circle together with the progressive longitudinal movement of the table with a patient relative to the sample occurs in a spiral, hence the name of the method. Multislice (multidetector) CT scanners. 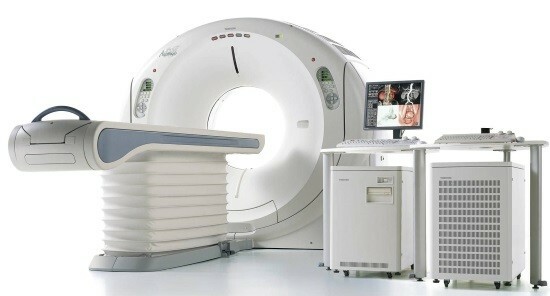 Fourth generation CT scanners is about thousands of sensors located around the circumference in several rows. Rotates the source of radiation. Time reduced to 0.7 s.
READ How to prepare for ultrasound during pregnancy: is it possible to have? In the double helix imaging is 2 rows of detectors, chetyrehspalnyh ─ 4. Thus, depending on the number of sensors and features x-ray tubes currently, there are 32-, 64 — and 128-slice multidetector computed tomography. Already established 320-slice scanner and most likely, the developers did not stop there. In addition to native research, there is a special technique of tomography ─ the so-called enhanced computed tomography. In this case, first the patient is injected radiopaque substance and then conducted RCT. Contrast contributes to a better absorption of x-rays and more crisp and clear image. What he sees the doctor after researching on the CT scan is a map of the distribution of change factors (attenuation) of x-ray radiation. For correct decryption this data, the expert must possess certain qualifications. How is the research and where it is conducted? Special preparation for CT in most cases is not required. The number of CT studies, for example, the examination of the gallbladder should be done on an empty stomach. In the study of the abdominal cavity, preferably 48 hours prior to the study to stick to food with the exception of foods that cause flatulence (cabbage, beans, brown bread). Flatulence should take the adsorbing means. The study or rejection of it depends on the decision of the radiologist that determines the optimal in each individual case the amount and method of performing tomography. During the examination the patient lies on a special table that will slowly move relative to the frame of the imager. You want to lie still, carrying out all instructions of the doctor: he can be asked to hold your breath or not to swallow, depending on the region and the objectives of the study. If necessary, contrast medium injected. Unlike MRI, the opening in the frame of the computer tomography is much wider, which allows you to easily do this study patients suffering from claustrophobia. The study can be completed in an emergency and in a planned manner in the medical institutions, equipped with the appropriate equipment. 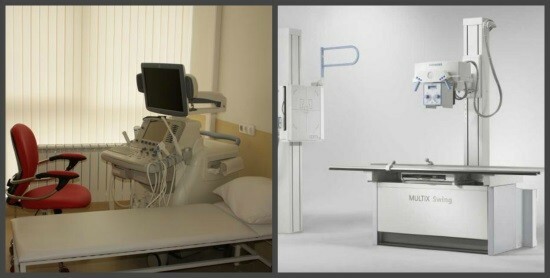 At private clinics can make a computer x-ray helical or multislice computed tomography for a fee. 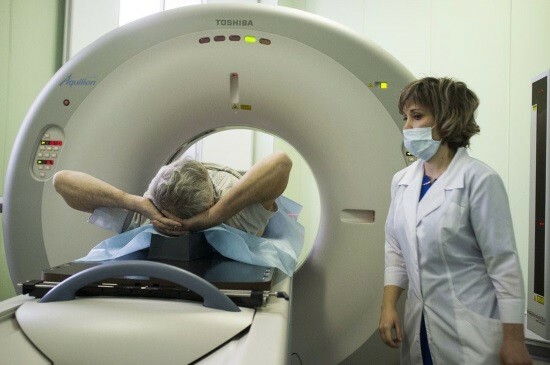 Computed tomography can be used for preventive examinations, as well as scheduled and emergency procedure for the diagnosis of diseases, monitoring of the results of conservative and surgical treatment of various diseases or the manipulation (puncture, impact of biopsies). Using this method diagnosed a lot of diseases of various organs and systems. Apply with injuries of different localization, polytrauma. Computer tomography allows to determine the localization of the neoplastic lesions ─ method necessary for the most accurate pickup of a source of radiation to the tumor during radiation therapy. Increasingly, CT is now performed when other diagnostic methods do not provide sufficient information, it is necessary when planning surgical intervention. Absolute contraindications to study there. Children up to 15 years. However, some CT scanners there are special programs designed for children that can reduce the radiation load on the organism. In each case, the decision is taken by the doctor individually. If the research justifies itself ─ it is done, even in the presence of contraindications. Radiation exposure is 2 to 10 mSv. 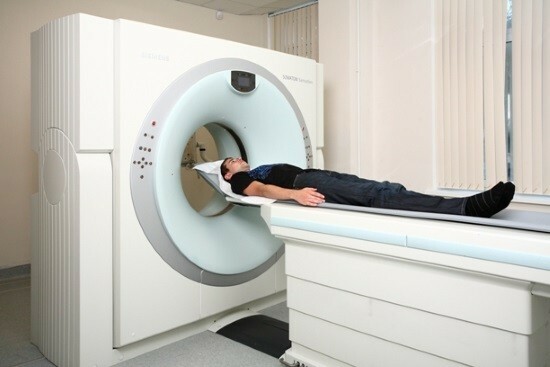 CT is used more and more often, helps doctors in diagnosis and treatment. This diagnostic method is often resorted to after other methods: ultrasound, x-ray. Unlike x-ray CT are seen not only bones and pneumatic structures (sinuses, lungs) but also soft tissue. Radiation exposure greater than the x-rays due to the fact that to recreate the images you need lots of pictures. The alternative to CT is MRI. The last is applied in case of intolerance to contrast agents and more informative for a more accurate diagnosis of abnormalities in the soft tissues. Precisely visualizes the bony structures, blood vessels, intracranial bleeding. Takes less time than MRI. Optimal for those who are contraindicated to MRI-pacemakers, metallic implants, claustrophobia. Essential when planning surgical interventions.